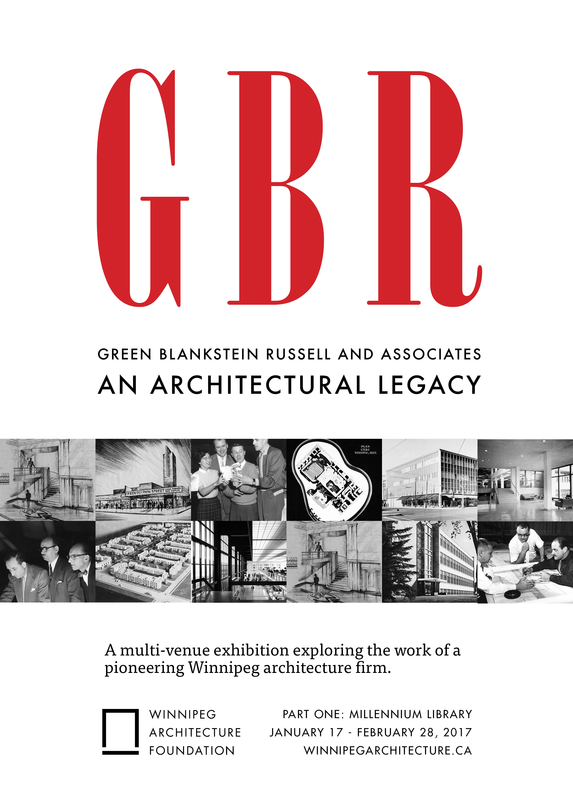 Throughout its over seventy year existence, the Winnipeg architecture firm of Green Blankstein Russell and Associates (GBR) made a massive mark on the city it called home. GBR integrated an extensive cast of characters, moments, ideas, and places. Founded by University of Manitoba graduates Lawrence Green and Cecil Blankstein, and later joined by Leslie Russell and Ralph Ham, GBR would grow to become, by the 1960s, the largest architectural office between Ontario and British Columbia. Over its history, the firm served as a kind of engine for Canadian architecture: a institution through which many of Canada's notable architects, designers, and engineers came through on their paths to prominence. It operated as a hub for partnership and training, and as a pioneering force in its inclusion of women and members of Canada's diverse cultural communities within the field of design. This exhibit on the main floor of Millenium showcases the history of the firm and several of their more significant projects though historic drawings and photographs. There is a second exhibit on the concourse level of the Centennial Concert Hall, 555 Main Street. The exhibits are curated by Jeffrey Thorsteinson and Brennan Smith with research assistance from Marieke Gruwel and Susan Algie. Produced with the support of Canada Council, Winnipeg Foundation, Stantec Architecture, City of Winnipeg and Province of Manitoba.